How to find the number of Applications you have suggested. Can someone show me how to use JPE? How to figure out the right modules? Anyone loan me a file? Migrating an existing installation of WinXP to another HD? How to update my portable software? FaceCam Cover creates a simple block over distracting screen elements, especially "Face Cams" common on internet videos. The block can be resized and moved via drag-and-drop. For more options see this forum post. How to extract: Download the ZIP package and extract to a folder of your choice. Launch FaceCamCover.exe. 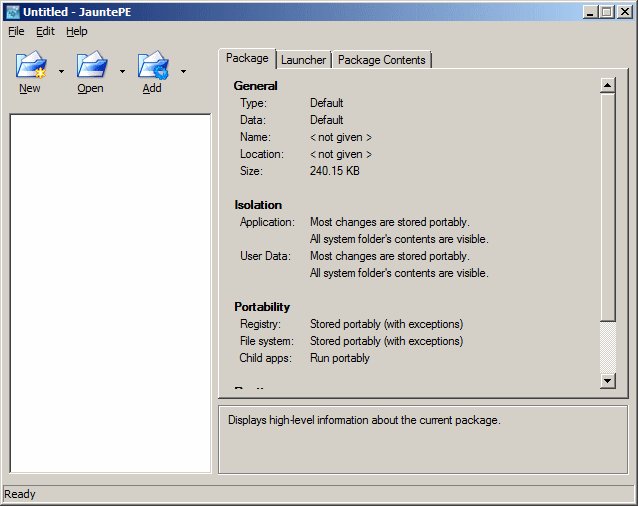 JauntePE is a suite of tools that allows you to make applications portable by virtualizing access to the filesystem and registry. It has a somewhat long and contentious history, but we are very glad that redllar has decided to make the latest release publicly available. For discussion and support, please visit the JauntPE Sourceforge web forum. Note: TPFC also holds two JauntPE dedicated forums -- JauntePE Discussion and JauntePE Launchers. How to extract: Download the ZIP package and extract to a folder of your choice. Launch JauntePE.exe. At redllar's request, I have updated this entry to point to the latest version of JauntePE and its new home/forum at SourceForge.net. Seems like this doesn't work any more in Windows 10. Although apps portablised using it in previous versions of Windows still seem to work OK.
JauntePE downloaded, just want to try it) I am a fan of portable apps!!! I have experience Molbox, but this is no longer supported. Then he switched to Boxedapp. These programs are very cool! Luxinia is a 3D engine written in C that uses OpenGL, Lua, GLFW, OpenAL and ODE physics. As user you do not need any compilers but purely work with the high-level language Lua to code your projects. It comes with Three mini-games and a list of tutorials that work as demo programs. How to extract: Download the ZIP package and extract to a folder of your choice. Launch luxinia.exe. RPGui is a tool for pen-and-paper RPG's that allows gaming sessions to be conducted over the internet, with the DM/GM serving as host and players joining. The interface is simple and gets the job done, allowing the DM/GM to perform "hidden" dice rolls, conduct narratives and even speak through NPC's without clutter and confusion to the players. Also included is support for custom maps and tokens. 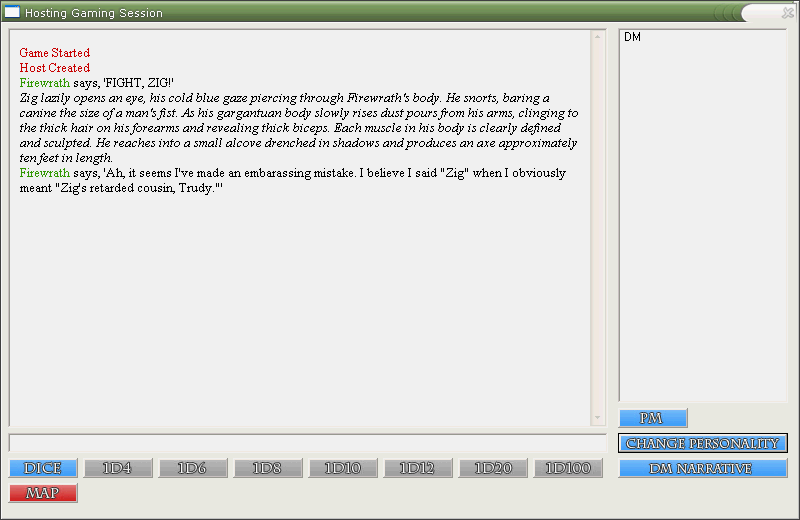 Note: The application website is offline, so I have made the copy supplied by Firewrath available for direct download. How to extract: Download the ZIP package and extract to a folder of your choice. Launch RPGui.exe. X's comment has been removed.